Rutgers’ New President Barchi Should Stay! Governor Christie Out of Control Over Senate Opening! 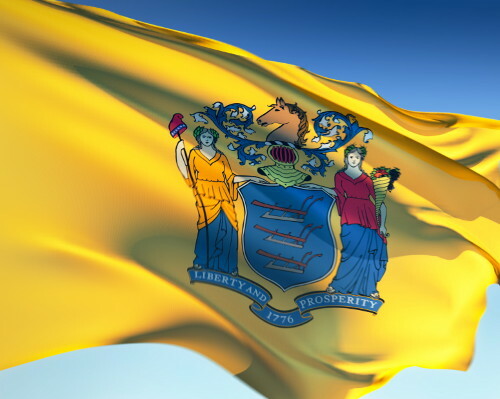 The State Flag of New Jersey embodies The Great Seal of The State of New Jersey which is New Jersey’s Coat of Arms. Adopted in 1777, it was modified slightly in 1928. Excuse us for living, but there is no shortage of topics for commentary. So, weighing all the equities, I voted it’s time for an update on recent New Jersey developments! This latest embarrassment for Rutgers comes on the heels of firing RU’s Basketball Coach Mike Rice and the resignation of Rutgers Athletic Director Tim Pernetti this past April 2013. Both dismissals were the result of video footage being released to the public this spring 2013 showing Rice verbally abusing & physically pushing players around during practice. At issue was Pernetti placing sanctions/punishment on Rice late last year 2012 based on the videos seen only by him, not made public at that time, and described only to Rutgers’ new President, Robert L. Barchi, without viewing the videos himself. Once the videos were made public, Barchi and Pernetti fired Rice and the next day agreed that Pernetti better step down as AD. Rutgers’ new President, Robert L. Barchi, is Rutgers’ 20th President as of September 2012. What’s left at issue are calls for the resignation of Rutgers’ President, Barchi, who only took over the reins as president in September 2012. Barchi is faulted for not viewing the videos of Rice’s abuses, relying on Pernetti’s judgment of those videos, and for hiring the new AD, Julie Hermann, relying on the search committee and the vetting process. While the events are worse than a Greek tragedy, two important pieces of the drama are crystal clear to me. 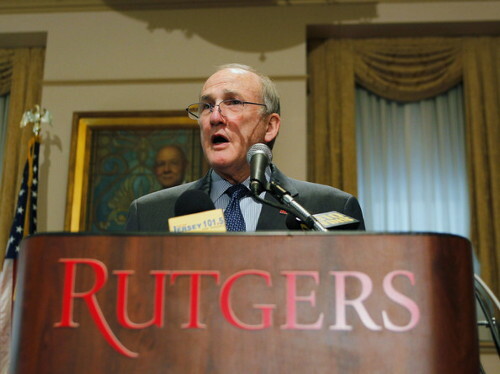 First, President Barchi must continue as Rutgers’ President. This July 1 Rutgers formally absorbs most parts of UMDNJ, New Jersey’s State medical schools. Barchi was hired explicitly for this task and is superbly qualified and extremely capable to take on this enormous transition as he already has begun. First as Provost at the University of Pennsylvania and then as President of Thomas Jefferson University, a private medical and health sciences school in Philadelphia, Barchi has the depth of experience and the proven record. Particularly at Thomas Jefferson University with its six medical and health related colleges and schools, Barchi was a hands on manager who expanded the campus size tremendously in buildings/facilities expeditiously as well as student enrollment. Despite all Rutgers’ tales of woe, Robert Barchi is the man to lead Rutgers at this point in Rutgers’ history. Second, Rutgers’ so called “problems” of late are, while certainly disturbing, merely part of a continuum to those of us of the Rutgers Family that has been going on for at least half a century. Put simply, Rutgers University is big (and about to get bigger with the merger with UMDNJ) with its three campuses in New Brunswick at its center, and Newark to the north, and Camden to the south. And while I know there are much larger university systems in the United States whose enrollments total into hundreds of thousands of students (California’s, Pennsylvania’s, Ohio’s, New York’s, to name a few), Rutgers is big with over 58,000 total enrollment, undergrad and graduate students. With UMDNJ another 7,000 students will be added to Rutgers totals. As undergrads at then Rutgers College in New Brunswick in the mid-1960’s with only 6,500 students, it was a common complaint that we were treated “like a number,” as simply part of the larger University. And so it was and still is today, only larger! Rutgers and Barchi have their hands full. Mistakes will happen and be corrected. At best, President Barchi should be empowered by the Boards of Governors and Trustees to reorganize and appoint whatever administrators/provosts necessary on all campuses. Rutgers should study how the larger universities manage their affairs. Most likely the larger universities are not micromanaging matters on all campuses across their states, including athletics. (Ask Penn Sate where they went wrong!) Then President Barchi can guide Rutgers and oversee the big picture as Rutgers grows into its greater future. Governor Chris Christie, who became Governor in January 2010, now faces reelection this November 2013. So naturally when the distinguished & accomplished 89 year old Senator Lautenberg passed away with a year and a half left in his U.S. Senate term on Monday, June 3, Christie went into his usual dance to put his own spin on things. The very next day, after Lautenberg’s death, Tuesday June 4, Governor Christie called for a primary, Tuesday, August 13, coming up soon, and a general election, Wednesday, October 16, at a cost of an extra $12 million. – – That’s only 3 weeks before the regularly scheduled Tuesday, November 5, general election for governor in which Governor Christie, Republican, faces off with Democratic State Senator Barbara Buono. What’s it all about? Christie reasoned that Newark Mayor Corey Booker, the hands-on Democrat favored to win the senatorial election, would bring out a large Democratic vote in a November election. Christie’s strategized reasoning concluded that since he, Christie, is running for re-election as Governor, Booker’s coattails would cost Christie some votes in his totals and look bad for the 2016 Presidential Election. 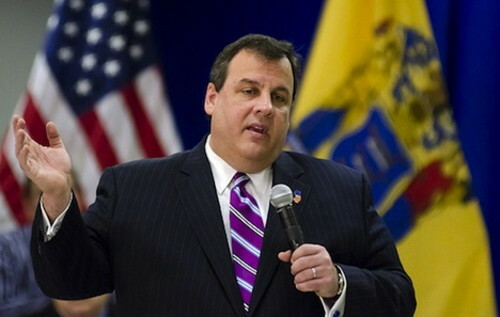 – – Plus Christie dreams of the Republicans taking the State Legislature back from the Democrats. Thus, Christie came out with his own design on the election of a new Senator. Christie “gamed” the situation too much. He would have been “home free” had he done the normal and responsible thing and appointed a temporary Senator, likely a Republican, and then used the primary and general election process in 2014 to elect New Jersey’s U.S. Senator for the six year term. Instead, he appointed his Attorney General, Jeff Chiesa, to fill the seat for the few months, exactly 128 days, until the new Senator is elected in October. Then, in the 2014 primary and general elections New Jersey will have to repeat the process all over again and elect its new U.S. Senator for the traditional term. – – To skip the 2014 election of a Senator and assume the person elected this October 2013 would continue in office would be a high risk assumption surely to be contested in court. Excuse us for living, but we see “Christie being Christie” here one time too many. He is like the person who gets his way too much and is out of control. The Bully has taken one step too far. And we all know what happens to bullies in the end. They meet their match that puts them down. Oh, Christie most likely will muddle on “being Christie” in all things he does and may still get the nod and be the Republican candidate for President in 2016. But if the Bully gets that far and goes up against a Democratic candidate named Hillary Clinton, I dare say he will have met his match! ***As Governor, Chris Christie assumes powers and takes action on things nobody knew a New Jersey governor was empowered to do constitutionally. Putting that question aside, here is a partial list of Governor Christie’s record thus far: giving away the $11 million State owned NJN TV to WNET in New York City, not fully funding New Jersey’s education budget, incorrectly filing Race to the Top federal education grant losing $400 million, halting the construction of the new Hudson River railway tunnel, creating turmoil with the appointment of State Supreme Court Justices and lower court appointments as well as Commissioners & Prosecutors, replacing members of the Highlands Commission halting preservation of this sensitive environmental area, adopting into law a quick fix to State pensions and benefits (creating collective bargaining difficulties over benefits), halting progress on the NJ Regional Greenhouse Gas Initiative, including student test scores in teacher evaluations, cutting salaries of school superintendents, a clumsy political restructuring of Rutgers and UMDNJ. Yes, he has been a determined and effective leader in the aftermath of storm Sandy. Yes, he successfully capped New Jersey’s property taxes at 2.0%. (with ramifications for municipal, county, and school budgets and teacher salary negotiations). And yes, he expanded Medicaid opting to participate in this part of the Obamacare program (but opted not to create a State Health Insurance Exchange under Obamacare). But his efforts to put our fiscal house in order in terms of a balanced budget are more a temporary fix and overall impression than a responsible program to manage NJ’s debt on the road to future stability and genuine fiscal health. While Christie boasts a balanced budget, now required by law, in truth the State of New Jersey’s debt totals almost defy calculation and comprehension. There is a quote of a $71 billion debt for 2012, counting outstanding bonds & State pension & benefits shortfall. (http://www.nj.com/politics/index.ssf/2013/01/njs_debt_grew_by_6b_in_fiscal.html) However, there is a whopping NJ debt figure of $281 billion for FY 2012 which accounts for everything from the $54 billion the State owes to the pension fund, post-employment benefits, Unemployment Trust Fund loans & the FY 2013 State budget gap. (http://sunshinereview.org/index.php/New_Jersey_state_budget) You can “choose your own poison” as they say! Chip, I knew I’d hear from you because I listened to the 1998 Rutgers Glee Club CD, “The Bells Must Ring,” while I treadmilled today. We don’t have to toot Soup’s horn when the CD song listing is covered with his name from composer to arranger……impressive he was…we know. Informative article–Maybe an outline form would reach our tired brains a bit easier–(I wish I was joking) Just because one is heavy does not make one jolly–He oozes meanness. Now you just gave me the facts to back up my feelings. Thank You!